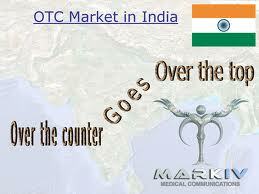 The OTC Clearing and India’s stand under ESMA. India is “reluctant” to apply for third-country equivalence for the Clearing Corporation of India (CCIL) from the European Commission (EC), while it is also planning to mandate the central clearing of rupee foreign exchange derivatives, a scenario that could potentially force European banks to exit the most profitable part of their derivatives business in the country. On June 15, the European Securities and Markets Authority (Esma) is due to provide advice for the EC over whether India’s central counterparty (CCP) will be able to clear trades for European banks on July 15. Currently there is no framework within European Market Infrastructure Regulation (Emir) to enable clearing from non-equivalent CCPs. However, the Reserve Bank of India (RBI) intends to mandate the onshore clearing of forex forwards next January – delayed from April this year – leaving European banks unable to clear in the event of CCIL being deemed non-equivalent. CCIL is working towards recognition under the Committee on Payment and Settlement Systems/International Organization of Securities Commissions’ (CPSS/Iosco) Principles for Financial Market Infrastructures, but the RBI does not find the current Esma framework to be acceptable, according to a Hong Kong-based Asian banking source. As India operates in the controlled nature of the currency makes offshore clearing a practical impossibility – even if local regulators allowed it. Achieving recognition is a complicated process but it also involves a (MoU) being signed by the home-country CCP regulator and Esma. This could well be a sticking point in some places that believe they should have complete autonomy on these things: India, China and Korea come to mind. One of the many areas of uncertainty over Esma’s CCP approval process is the type of sanction that would apply to a European bank if it cleared trades through a clearing house that isn’t deemed equivalent by the European regulator. Esma is also facing pressure as other jurisdictions with more open markets are calling for a review of the third-country equivalence guidelines. The US Securities and Exchange Commission (SEC) recently said that Esma’s rule-making process for third-country recognition was “counterintuitive” and “non-transparent”.